This week feels a little like Christmas. There’s oodles of excitement around GDC which is already underway and PAX East which starts Friday. If you can’t make either event, not to worry. Gamasutra has great coverage of GDC and PAX East has a subscription Twitch channel for the Main Theatre programming. Onto the news! Square Enix announced the remaster is coming May 12 to PS4, featuring remastered graphics from the original PS2 game as well as reworked music from Final Fantasy X. Fans who pre-order also get a cool calendar. 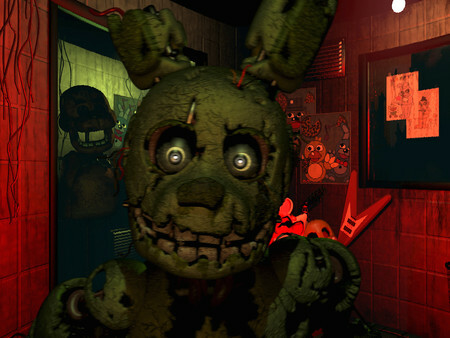 The popular jump-scare game is back again and this time with only one animatronic. For those who like horror games or just want something different, the Five Nights at Freddy’s games are worth a peek. The original is only five bucks right now, so try it out and let me know what you think. Back in October, she left Ubisoft Toronto as its managing director. In an interview with Polygon, she talks about game development, disruption, innovation and “no time for bitching.” It’s a long read, but a good positive one with thoughtful responses on what’s happening in the game industry. Seven Seas Entertainment announced they’re jumping into tabletop gaming. Their first game announcement happens today and includes a Kickstarter campaign launch.